Part of the Elleci collection of granite composite sinks, the modern Smart range offers a minimalist, flat design profile and features Elleci's innovative S.I.R. compact draining system. This design has an overflow system that helps reduce water consumption. 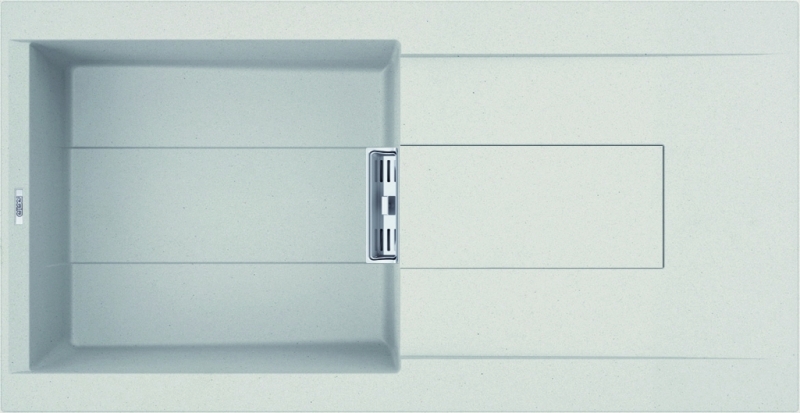 The Elleci Smart sinks are made from either Granitek or Metaltek, depending on the colour. Granitek is a union of natural granite and acrylic resin and has an appearance like natural stone, whilst Metaltek also incorporates metal particles to give a brilliant, shiny finish. Elleci Smart sinks have the best resistance of granite, from high impact to high temperatures are available in a choice of 4 colours: Granitek White, Granitek Cream, Metaltek Titanium or Metaltek Black.